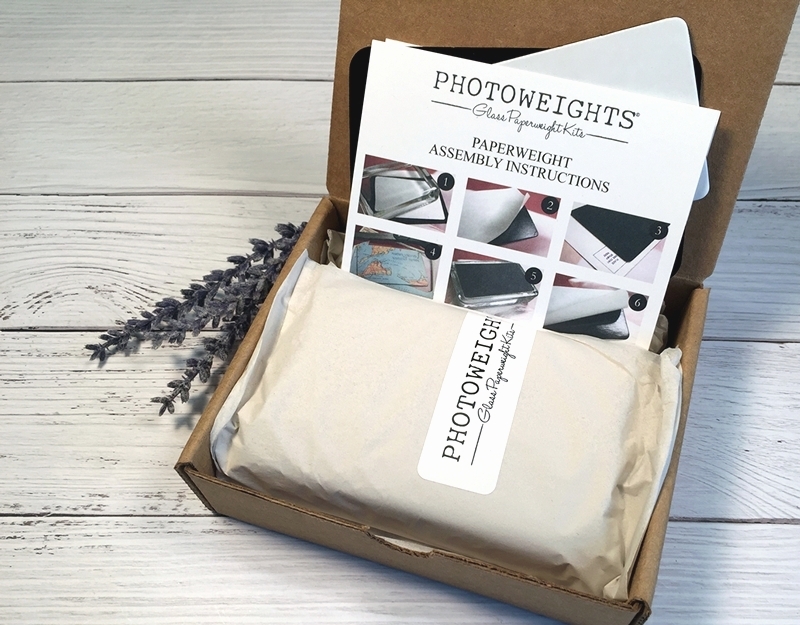 PhotoWeights are individually boxed with everything you'll need to create a custom paperweight with a favorite photograph. You'll just need a pair of scissors to trim your image. 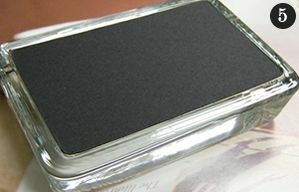 Be fore you begin your project, it's important to clean your paperweights with streak-free glass cleaner to remove any fingerprints, dust, or smudges. 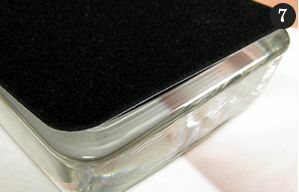 This step will help ensure your bottom pad's adhesive adheres properly to the surface of the glass. 1. 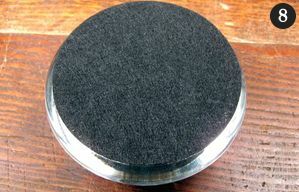 Your paperweight will include a finishing kit (mounting board for your artwork and a bottom pad). 2. 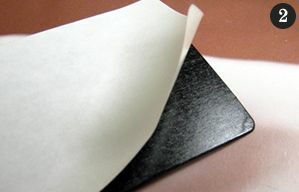 Remove the protective film to expose the adhesive on the mounting board. 4. 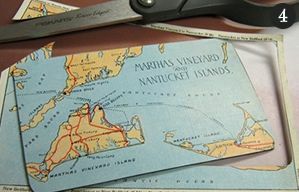 Using a pair of scissors, trim any material that extends beyond the edge of the mounting board. 6. 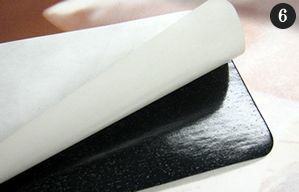 Remove the protective film to expose the adhesive on the bottom pad. 8. 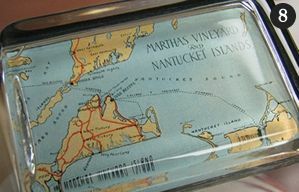 The artwork is captured within the glass. 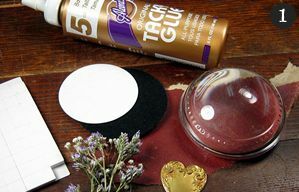 If you use glue in your project, allow it to dry completely before you place it within the paperweight. 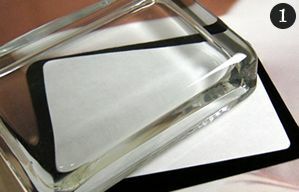 If the glue is not dry, a hazy condensation may form within the glass. 3. 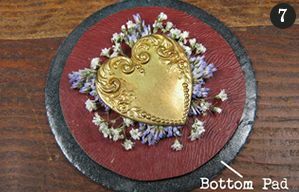 Place the adhesive side of the board on the back of your image or artwork. 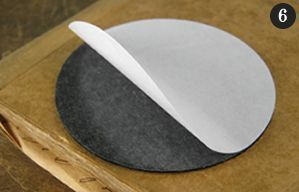 If you're displaying an object like we are, use fabric or paper to act as a background. 5. (Optional) If you're displaying objects, attach them directly to the background material you applied to the mounting board. 7. 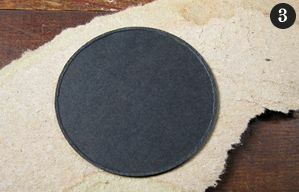 Apply the finished mounting board to the center of the adhesive side of the bottom pad. 9. The finished design is captured within the glass and is slightly magnified under the dome. 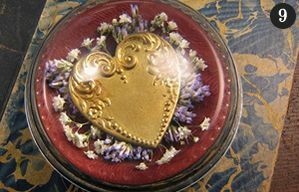 Most of our paperweights styles have enough interior space to display dimensional items. 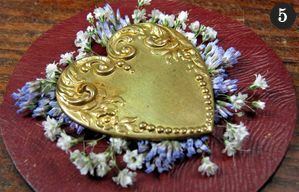 Each paperweight's product page will tell you the depth of the artwork area. The item you wish to display will need to be slightly smaller than this measurement. 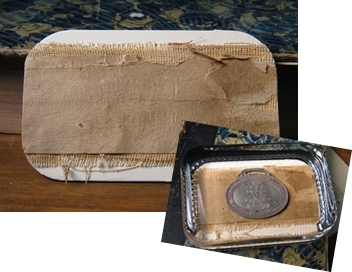 The example paperweight pictured showcases an antique watch fob. 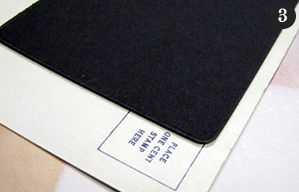 To achieve this design, smooth paper was placed over the adhesive side of the mounting board. We glued parts of an old book spine to the paper to create a background. The watch fob was adhered to the background with hot melt glue. 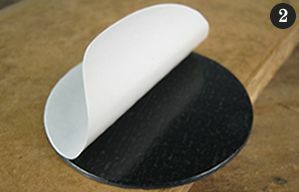 Another example of displaying dimensional objects may be found in the step-by-step instructions for the dome paperweight (above). 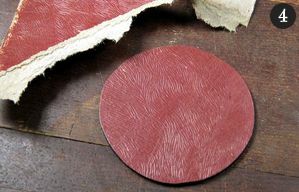 A swatch of textured paper from the cover of an old scrapbook album was used as the background.